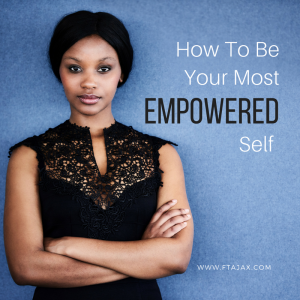 Empowerment is simply defined as “the process of becoming strong and more confident, especially in controlling one’s life and claiming one’s rights.” Who doesn’t want to experience that? The sad reality is that many women believe they have lost their voice in their relationships with more dominant partners or struggle to find the confidence to speak with assertiveness. In this article, the author shares about being responsible for your own emotions and feelings in a relationship. She explores empowerment from a female perspective but everyone can benefit from a greater understanding of what it means to be empowered and be their authentic self. Though the definition may be simple, finding your way to feeling more assertive and empowered can be a challenge. The goal is to have power over your own life circumstances, as much as they are within your control. Below are seven ways you can seek to empower your own life. At times, you allow yourself to be emotionally dependent on other people. Whether it is friends, family, co-workers or even your partner. You give away your power by feeling that you need their approval. This desire for approval keeps you stuck and but your value does not decrease based on someone’s ability to see your worth. You must make a choice to choose things that are important and valuable to you. Do the things you enjoy and bring you happiness. Share your thoughts, emotions and reactions with those closest to you so that they can enjoy you for YOU. If someone does not want to change, then they will not change. The only person that you can work on is you. Working to change someone else is an emotional draining and frustrating process. It is much better to take that energy and focus on making positive changes in your own life. You can also work to understand the other person and manage your reaction to them. Negative emotions can drain you emotionally so there is value in processing and letting go of past resentment, guilt, or negativity. Forgiveness is about freeing yourself from the power those negative emotions have on you. You do not need to wait for an apology in order to forgive. Forgiveness is for you, not the other person. As you think about trying to walk through forgiveness or even processing tough emotions, try putting yourself in the other person’s shoes. Sometimes perspective helps us gain a greater understanding and allows you to have some empathy rather than blame or become judgmental. If you can look at someone else’s accomplishments and it inspires you to move boldly in the direction of your own dreams, then THAT is an empowering moment. However, if you find that someone else’s success makes you unhappy with your own situation then you are giving that person power over your emotional experience. Accepting yourself is at the root of taking back your own power. Being thankful for where you are in your life is a powerful tool that can be honed and sharpened with practice. Being intentional about finding the upside to your situation and being thankful helps you to see the value in your own personal identity. Once you value yourself, it is harder to let someone have power over you. Being alone helps you to reflect and think through your emotions which gives you more clarity to not have to depend on someone else to meet your emotional needs. Make yourself a priority – spend some quiet time looking inward to find the strength that is within you and cultivate that. Empowerment is an important and healthy component in relationships. It allows both parties to take responsibility for their own emotional reactions. If you allow your partner to dictate if you are happy or not, then you have diminished your own ability to feel and have turned over the control to your partner. This can be asking someone to love a “fake” version of you, especially if you avoid talking about your negative emotions or pretend that you’re “fine”. Later when you feel the need to speak up, it may not be received because your partner thought things were fine. If you find that it is hard for you to take charge of your own life or you feel the need to silence yourself on a regular basis, do not hesitate to seek some guidance. There is so much value in looking inward to become the whole, happy and well person that you could be. Stop allowing others to have the power over your life. Our therapists April Evans and Kristen Montiel specialize is helping clients improve assertion and feel more empowered. Schedule an appointment today and start taking back your own life!